Water is place-based and needs to flow freely. From 1905 to 1990 the Bureau of Reclamation built 330 reservoirs, 154 diversion dams, 7670 miles of irrigation canals, 1,170 miles of pipelines, 270 miles of tunnels, 267 pumping plants, and 52 hydroelectric power plants. And spurred by the Flood Control Act, the Army Corps of Engineers has modified 16,000 miles of the Mississippi River, its tributaries and countless other waterways. While this vision of anthropocentric power and control is seductive, there has been a great deal of collateral damage. Modern engineering, with its quantifiable certainty and high-strength concrete, builds bulwarks, whereas living systems interact and transform ceaselessly according to their own rules. So it is no surprise that channeled, dammed, and captured water is essentially dead, and our Euclidean dreams for dominating nature often fail. Experts insist that massive structures are needed to advance progress and protect property; however, sharing resources and working in synergy with natural systems are not new ideas. In the late nineteenth century, James Eads, as an aid to commercial navigation, deepened the mouth of the Mississippi by building jetties on either side of the natural channel. This narrowed the river’s width, preventing the formation of sandbars through the scouring action of fast-flowing water. And Frederick Law Olmsted’s “Emerald Necklace” in Boston provided flood control, sewage amelioration, wetlands water purification, and wildlife habitat within the context of a bucolic public landscape. 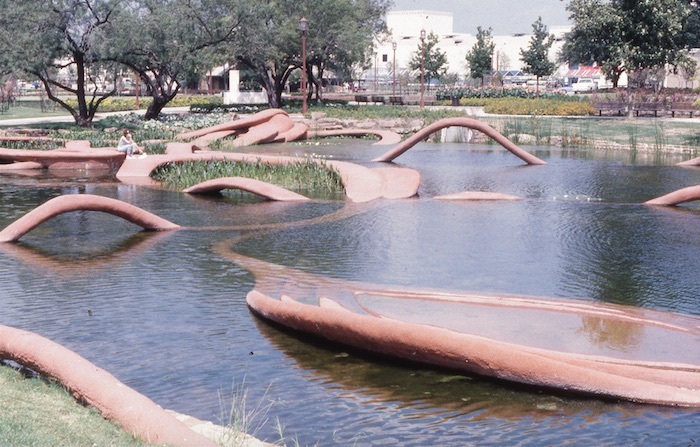 These were the innovators I thought about in 1981, when I was asked to design a municipal flood basin for Dallas’s “Fair Park Lagoon.” Although the sculptural structures may look “aesthetic,” they are actually deployed to prevent shoreline erosion by breaking up wave action, simultaneously creating paths for people and microhabitats for fish, turtles, birds, and waterfowl. Water rises and falls with each storm event, while the engineering project helps people visualize natural processes, as forms become submerged during a rainstorm, and are gradually revealed as storm water is released through a weir. “Fair Park Lagoon” may be entirely functional and part of Dallas’s cultural heritage, but living systems still thrive within. In Dallas it became clear to me that it was possible to build multi-functional projects that would perform the required engineering services without denying the transformational, cyclic patterns of water, or excluding human beings. We need to envision and implement shared landscapes that collaborate with nature, rather than build more infrastructure demonstrating power and control. In 1997 I designed such a project, in harmony with natural systems, for Brockton, Massachusetts, “The Rocky Marciano Trail.” The plan was based on a vegetated network of rivers and brooks that had previously existed when Rocky ran through the city in his quest to become boxing heavyweight champion. An early example of “ecological infrastructure,” this matrix of self-sustaining and regenerative natural systems was designed to prevent flooding, collect and store drinking water, filter pollutants, and increase biodiversity. It also provided linked recreational trails and wildlife corridors within a dense urban setting. The crux of this project was not water management, but rather to give nature the autonomy and territory needed to sustain its own life processes, with multiple benefits accruing to all. It was the exact opposite of constrictive engineering, which solves one problem while creating others downstream. As a resource at the center of life, commerce, convenience, and consumerism, the allocation of water will always be contentious. An elaborate system of special interests and legalities may underpin our actions in regard to water, yet water denied is a death sentence, which is why we may need to rethink customary assumptions, such as boundaries and private property. What are the implications of allowing beverage corporations to deplete local supplies, converting water stolen from ecosystems, human communities, and wildlife into a commercial product? And as our oceans fill with plastic ingested by marine life (and in turn by us), why is bottled water considered a healthy product? I believe the future of all water should be local recycling within the context of living landscapes, simultaneously increasing supply, lessening pollutants discharged into rivers and oceans, and aiding biodiversity by creating functional infrastructure that doubles as territory for people and animals. Linked together, such projects would form a network of structured ecosystems that slowed and absorbed floodwater, minimized erosion, sustained base flow and regulated temperature. Many municipalities have begun reclaiming their wastewater in facilities that aerate, clarify, filter, and disinfect, producing drinkable water by mimicking natural processes within the context of concrete tanks and mechanical equipment. And experts note that recycled sewage is sometimes purer than other water, with fewer pathogens. In essence, all water is recycled, having previously lived as rain, ice and clouds; flowed through rivers, oceans, and subterranean substrates; and passed through the bodies of every life form on Earth since the birth of the planet. When I began designing “Ellis Creek Water Recycling Facility” with Carollo Engineers (1998-2009), a range of water treatment methods were well known. Yet it seemed vital to frame wastewater purification within a functioning wetlands ecosystem that could simultaneously provide many other benefits. 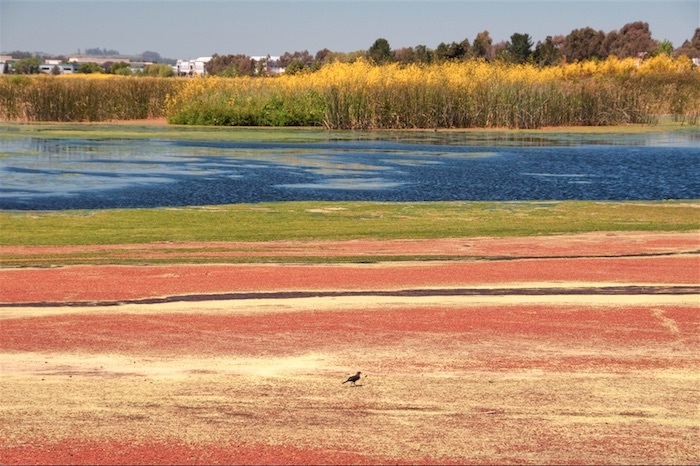 Thus our sewage treatment facility, also known as “Petaluma Wetlands Park,” incorporated massive constructed and natural wetlands within a multi-purpose landscape that purifies storm water, grows crops, restores wildlife habitat, and produces recycled water. Four miles of public trails provide public access, while biological autonomy has been returned to the site, as evidenced by legions of wildlife and resident endangered species. In the past, public works projects have permanently destroyed living ecosystems and sacred sites. In reimagining infrastructure we need only look to our own internal selves, where water is constantly cycling, filling cells, distributing nutrients, removing wastes, regulating temperature, and nurturing tiny ecosystems where cohabitants find food and shelter, forming complex communities. We may think of ourselves as individuals, but the boundaries between human beings and nature are porous. By incorporating functional infrastructure within the living world, engineering can become more resilient, inclusive, and continuously creative, harnessing and preserving the biological processes on which we all depend. Outwater, A. B. (1996). Water: A natural history. NY: Harper Collins. Johanson, P. (1998). Brockton Reborn: The City as an Ecological Art Form. 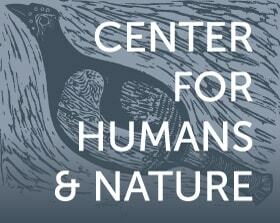 Sanctuary: Journal of the Massachusetts Audubon Society, Nov/Dec, 15-16. Wu, X. (2012). Petaluma Wetlands Park: Re-inventing Art, Reforming Engineering. In Sue Spaid (Ed. ), A Field Guide to Patricia Johanson’s Works: Built, proposed, collected & published (pp. 40-41). Baltimore MD: Contemporary Museum. Patricia Johanson’s major projects combine art, ecology, landscaping, and infrastructure into multi-functional public landscapes. With Brooke Hecht, Betsy Damon, Linda Sheehan, and Brock Dolman.